Learn more about our Realty Executives Cape Cod team! 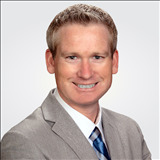 Chad Yates is a full time Realtor focusing on client satisfaction. He specializes in first time home buyers, residential properties, vacant land and commercial investments with over 10 years of experience. His business is about professional client service. He will assist you with selecting your ideal property, negotiating a fair price, financing options, renting in the area, relocating to other states or countries, and providing solutions to every real estate situation. He will create goals and objectives based on your needs and concerns. He uses a team approach based on frequent communication to walk you through the challenging real estate process. Moreover, Mr. Yates is a marketing specialist who uses the latest technology to obtain the best value for purchase and/or sale. For a listing, he actively advertises on social media, real estate websites and creates virtual tours. In addition, he can use aerial pictures to make your home as attractive as possible. He is a licensed Realtor who has expertise for the local markets in the Cape Cod area of Massachusetts. Michael J. Degnan is one of the original founders of Realty Executives of Cape Cod. Along with his partners he has helped build Realty Executives into one of Cape Cod's most productive real estate agency over the last two decades. Michael has extensive sales experience ranging from residential homes and condominiums to land and commercial properties. Beginning his 25th year in Cape Cod real estate sales, Mike prides himself on providing quality service to his clients. His experience and background allows him to fulfill his client's needs while maximizing the value of their property. He has successfully handled hundreds of real estate transactions. Mike is a member of the National Association of Realtor and the Cape Cod & Island Association of Realtors. He is a licensed Massachusetts Real Estate broker. Mike graduated from St. Michael's College in Vermont and has been a resident of Cape Cod since 1985. With his wife Emily he has raised two daughters in this truly magnificent place. His sincere desire is to help families locate and discover the property that best allows them to share in the beauty of this area that he has been fortunate enough to call home. Rebecca McGeoch is a lifelong resident of Cape Cod with a passion for everything she does; swimming in the waters of Cape Cod or the South Pacific, snow boarding in Lake Tahoe or Killington, VT or managing the details of over 100 real estate sales a year for buyers, sellers, and major financial institutions. Rebecca has been a licensed real estate agent since 2004. Her commitment to her clients and customers is without equal as is her ability to guide you through a transaction. She has a keen understanding of how to keep everything moving forward and her positive attitude rubs off on all that come in contact with her. Broker/Owner and manager of Brewster office. Home, Land and Condo Specialist. Former Sales Director of Ocean Edge Resort in Brewster. Waterfront Home specialist. 35+ years experience in resort/residential real estate. Multi-million dollar producer in the top 10 Percent every year. Expert on condo sales. Offers superior service to Sellers and Buyers with personal touch and excellent follow-up. Tim Waldron serves as the Regional Director for Realty Executives New England. He is primarily responsible for the development of the Realty Executives franchise throughout the New England region. Along with his partners he started Realty Executives Cape Cod in 1990. Together they built one of the premier offices in the region and have earned national recognition for their efforts. Tim was recently profiled in “National Relocation and Real Estate” as a “leader that made a difference.” Tim has been a licensed real estate agent since 1983. He has developed comprehensive marketing plans for several developments and is an approved marketing agent for Fannie Mae, Freddie Mac, Citigroup and several other national and local lenders. He has been recognized several times over the years for his sales achievements. Tim grew up in Central Massachusetts, graduated from Boston University and has lived on Cape Cod since 1983. He is married and has three school age children and a beagle that howls too much.